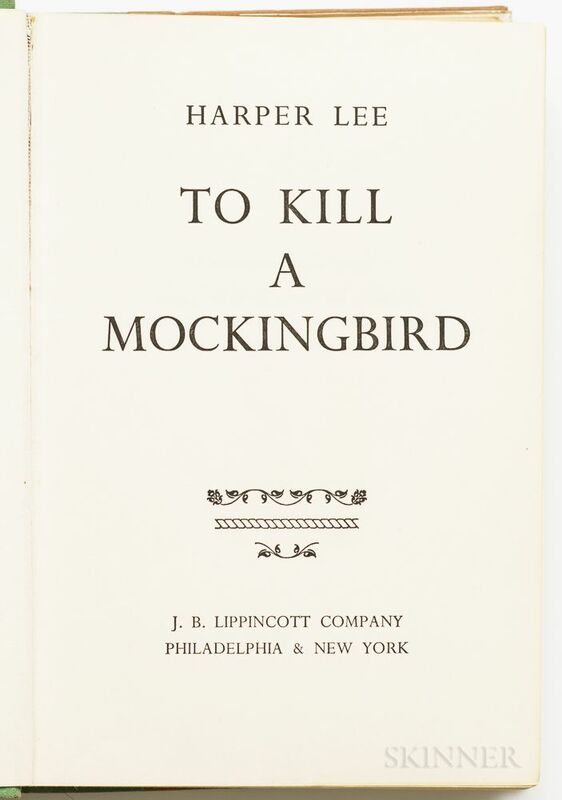 Lee, Harper (1926-2016) To Kill a Mockingbird. 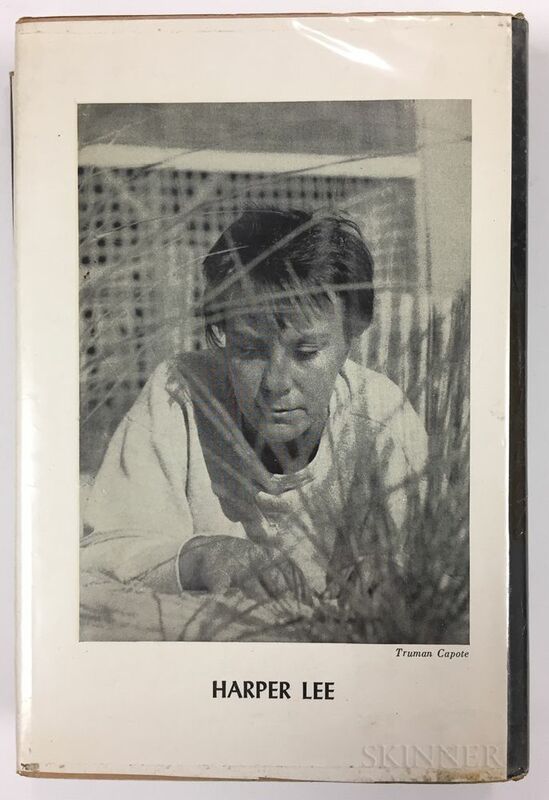 Lee, Harper (1926-2016) To Kill a Mockingbird. Lee, Harper (1926-2016) To Kill a Mockingbird. 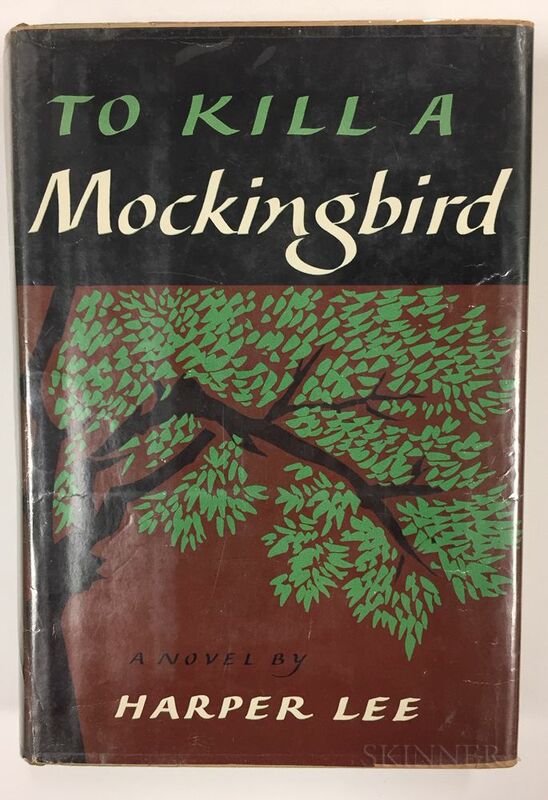 Lee, Harper (1926-2016) To Kill a Mockingbird. 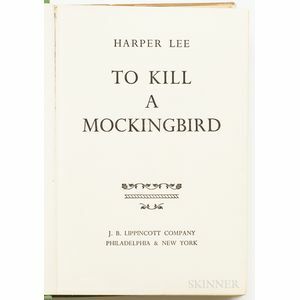 Lee, Harper (1926-2016) To Kill a Mockingbird. 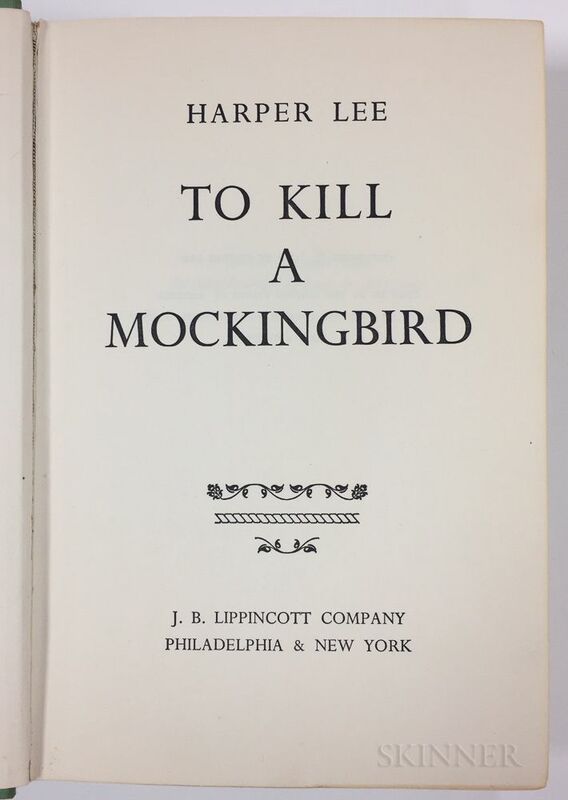 Lee, Harper (1926-2016) To Kill a Mockingbird. 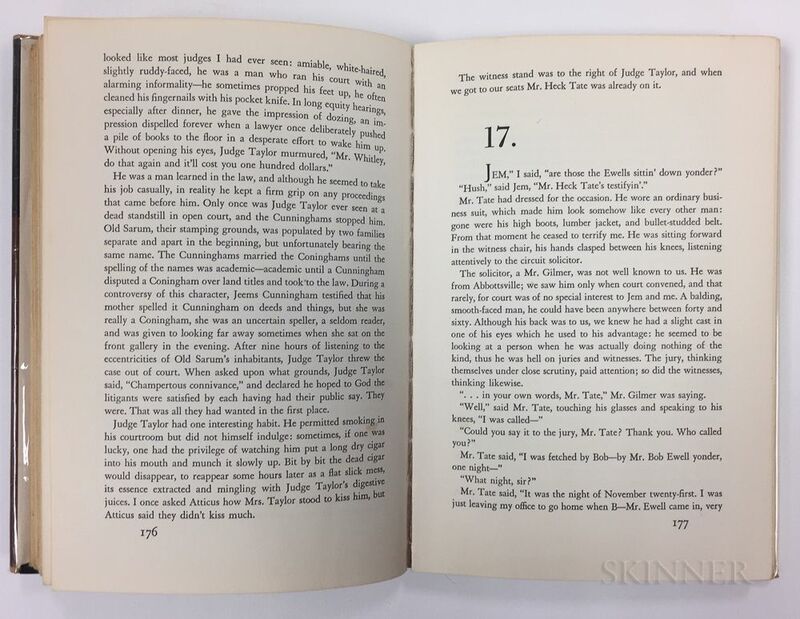 Lee, Harper (1926-2016) To Kill a Mockingbird. 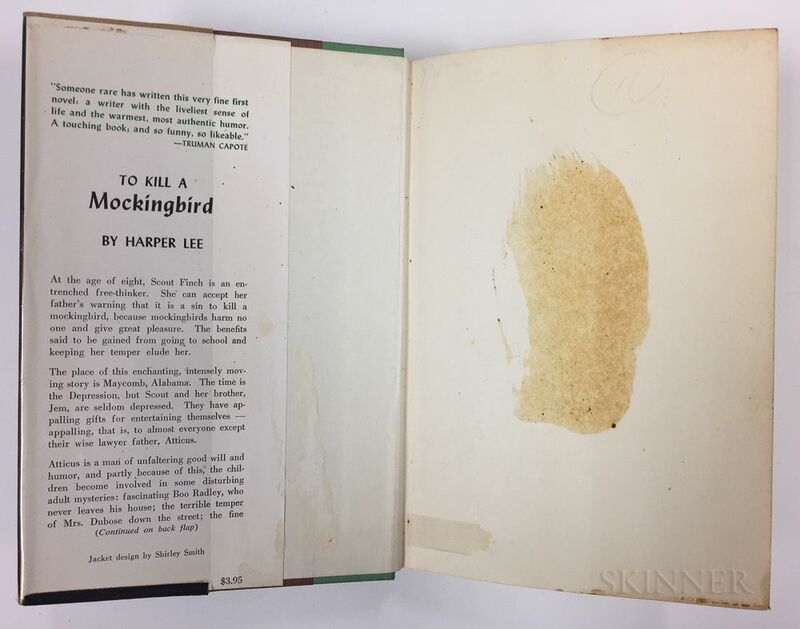 Lee, Harper (1926-2016) To Kill a Mockingbird. Philadelphia & New York: Lippincott, 1960. 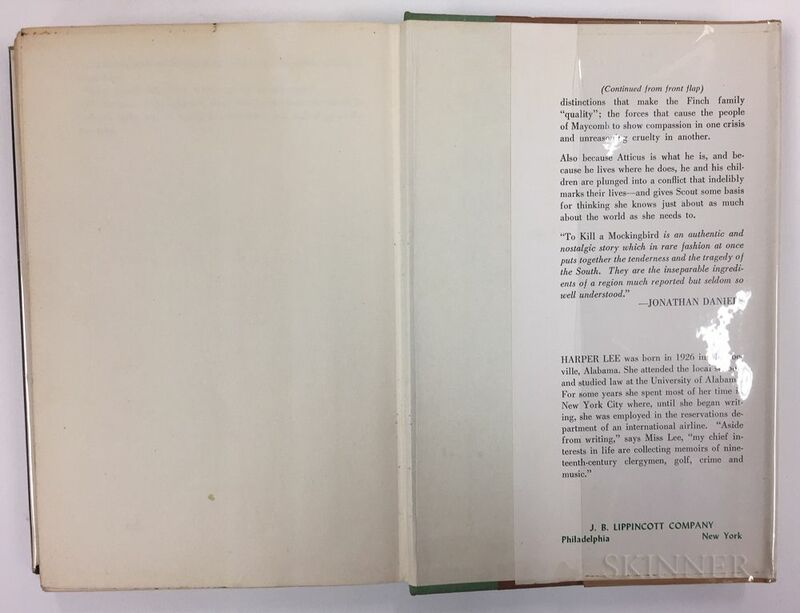 Stated first edition, octavo, publisher's half green cloth and brown paper boards, with the dust jacket, inner flaps of jacket tacked onto inner boards, old label on spine, old plastic cover over dust jacket, binding shifted slightly, stain and tape on ffep, 8 x 5 1/4 in.